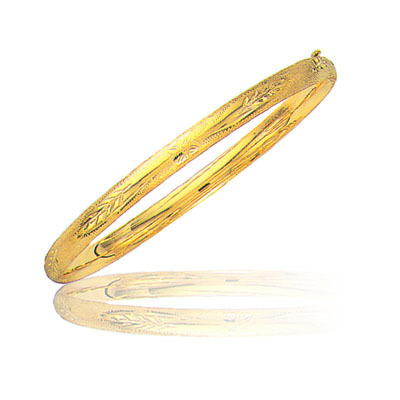 This glittering Classic Bangle is bedecked in 14K Yellow Gold. Approximate Gold Weight: 4.80 gm. This gorgeous bangle radiates sheer elegance.